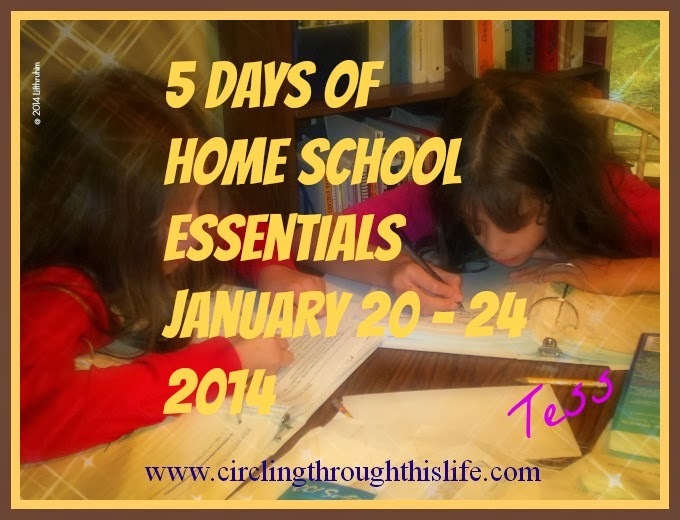 Circling Through This Life: T is for Tips: Four Terrific Organizing Tips from Tess! T is for Tips: Four Terrific Organizing Tips from Tess! I cannot claim to be the most organized person in the universe. I cannot claim that being organized means you live in a clean and tidy house without clutter and chaos. Well, ok, I could claim those things but they wouldn’t be true. It would be false advertising. I can however give you Four Organizing Tips I am using to help keep my sanity as I work towards developing better routines and habits and tame that clutter monster. For a variety of reasons, not the least of which is “ew I don’t want to share socks”, we don’t do the “buy all the same girl socks and don’t worry about matching” thing. Each of us has our own style and for at least one of my daughters, socks is just one way she expresses herself. I refuse to fold socks. I hate mating socks. I hate having to dig through a drawer or a basket to find two socks that match. I also hate “old maid socks.” You know those lonely socks without mate that sit in a basket or box waiting forever for its mate to never show up. The solution: Pin Your Socks! Whenever we get new socks, we pin each pair together before washing. Pin, wash, dry, throw in drawer, unpin, wear, repin and start the cycle again. I’ve been doing this for years. When the girls were little I pinned their socks for them. Now only Supergirl needs help with pinning socks. No unpinned socks are allowed in the laundry. You can get magnetic pin holders from the sewing section of your local store. I bought one for each bedroom. I’m still working on creating each of our different chore routines such as “After School” and “Before Bed” but I created specific check off sheets for Kitchen Cleaning. I have one for “Dishwasher Person” and “Dishwasher Unloader Person”. Instead of printing these chores out daily with their school assignments or printing a bunch of these out separately like a planner, I printed out one and slid it into a sheet protector. They can check off each chore item using a vis-à-vis pen. It wipes clean with a damp cloth and can be used over and over again. The sheet protectors I use are three hole punched so when not in use they hang on a hook on the fridge. The check off sheets have had a positive impact on my daughters’ ability to keep up with kitchen chores. If you are like me, you have some of those Glad or Ziploc reusable but disposable containers that are great for left overs but some of those plastic containers have lost their lids. I haven’t found a use (yet!) for lids without containers but I have found ways to repurpose those containers. I use a flat one for storing our USB storage drives. I have one filled with the different decks of various card games. I have one that holds game pieces and parts. If you need to contain or corral small items like USB Storage Drives, game pieces, hair accessories or even office supplies, try repurposing kitchen containers that have lost their lids. In Tip 1 I shared about these magnetic metal pin holders. Not only do they work great when sewing, and when storing safety pins for socks, but they also work great for holding bobby pins and small hair clips! Do you have a terrific tip to share? I’d love to hear it! Wow- I never throught of #'s 3 and 4. Thanks for the tips! The sock thing and bobby pin thing are awesome! !